Until the mind is free from the movement of thought, cessation of conditioning is very difficult. Unless the truth is realised, the mind does not cease to function. Yet, again, until the conditional ceases, the unconditioned truth is not realised. Since realization of truth, cessation of mind and the ending of conditioning are interwoven, it is extremely difficult to deal with them individually and separately. Hence, O Rama, by every means in your power renounce the pursuit of pleasure and resort to all the three simultaneously. If all these are simultaneously practiced for a considerable time, they become fruitful, not otherwise. 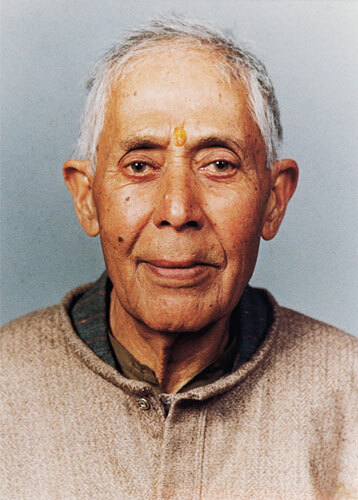 This excerpt is taken from Kashmir Shaivism by Swami Lakshmanjoo. It is a very interesting – especially at the end. I have changed Paurusa to Purusha and Bauddha to Buddha. Kashmir Saivism explains that ignorance (ajnana) is of two kinds: purusha ajnana and buddha ajnana. Purusha ajnana is that kind of ignorance wherein one is unaware of realizing one‘s own nature in samadhi. This kind of ignorance is removed by the grace of masters and by meditating upon one’s own Self. And when this ignorance is removed, you find yourself in the real knowledge of Saivism, which is all being, all consciousness, all bliss. This kind of knowledge is called purusha jnana. When you possess purusha jnana, you realize your nature of Self perfectly. Buddha ajnana (intellectual ignorance) occurs only when you are completely ignorant of the philosophical truth of the monistic idea of Saivism. And buddha ajnana is removed by studying those monistic Saiva texts which explain the reality of the Self. Therefore, these texts are the cause of your being carried from buddha ajnana to buddha jnana. Buddha jnana is thought-based and is developed through the intellect. Purusha jnana, on the other hand, is practical and is developed through practice. Purusha jnana is predominant over buddha jnana because when you possess only purusha jnana, even then you are liberated in the real sense. In this case, however, liberation is attained only after leaving your body. 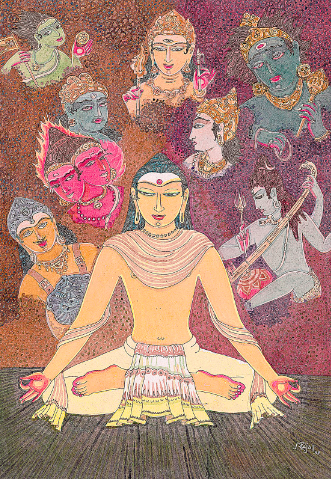 When, however, at the same time, you attach buddha jnana to purusha jnana, which means that, on the one hand, you practice on your own Being and, on the other hand, you go into the philosophical thought of the monistic Saiva texts and elevate your intellectual being, then you become a jivanmukta, one who is liberated while living. If, however, you possess only buddha jnana and not purusha jnana, then you will not attain liberation either while living in the body or at the time of death. Buddha jnana without purusha jnana is useless and will not take you anywhere. The study of texts shines perfectly only when there is practical knowledge at the same time. Without practical knowledge, philosophical study is useless. Buddha jnana will bear fruit only when purusha jnana is present and not otherwise. If an aspirant is attached only to practical knowledge and not to theoretical knowledge, believing that the only real knowledge is practical knowledge, which is the realizing of ones own nature, then from a Saiva point of view he is mistaken. If only purusha jnana is cultivated and buddha jnana is totally ignored, then there is every possibility that purusha jnana may decrease day by day, slowly fading away so that in the end, it does not remain at all. It is the greatness of buddha jnana that, with its power, it firmly establishes purusha jnana. In this respect, therefore, buddha jnana is more important than purusha jnana. In our Saivism, it is said that when you go in search of a master so that you can be initiated, you should first seek that master who is full of both buddha jnana and purusha jnana. Finding him, you should consider him a real master. If in this world such a complete master is not to be found, then you should seek one who is only filled with buddha jnana. He is to be preferred over that master who is filled only with purusha jnana because intellectually he will carry you by and by to the end point. That master who resides only in purusha jnana would not ultimately be successful in carrying you to that which you seek. You are currently browsing the SunYogi Blog blog archives for October, 2012.